Bathtime needs a little yellow rubber ducky. 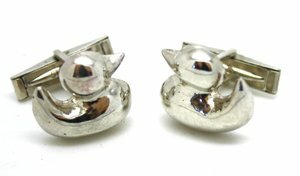 Office time should therefore need a pair of little silver duckies. They are approximately 18mm wide, made from and stamped sterling.